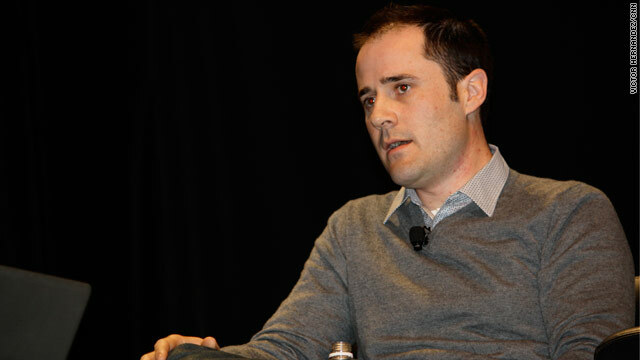 Twitter CEO Evan Williams announced a new feature called "@anywhere" at SXSW on Monday. For complete coverage of the 2010 South by Southwest Interactive Conference, visit www.cnn.com/TECH or follow @cnntech on Twitter. Austin, Texas (CNN) -- Twitter CEO Evan Williams announced a product Monday that will further integrate Twitter feeds into other Web sites. The "@anywhere" feature will allow users to post to Twitter from a number of other sites and to comment on each other's posts without visiting Twitter.com. "Imagine being able to follow a New York Times journalist directly from her byline, tweet about a video without leaving YouTube, and discover new Twitter accounts while visiting the Yahoo! home page -- and that's just the beginning," the company wrote in a blog post. The feature, which is expected to launch soon, will be introduced first on 13 Web sites, including The New York Times, Amazon, eBay, Bing, YouTube and The Huffington Post. Williams made the announcement at the South by Southwest Interactive festival, which is a yearly gathering of technology enthusiasts. Twitter debuted at South by Southwest in 2007. The @anywhere feature will make browsing the Web more seamless and help Web users find sites and videos more easily, Williams said. "One of the things we've found with Twitter is that discovery is one of the hardest challenges," he said. "Twitter drives tons of traffic. ... It should result in more followers for a site than just sending out links does," Williams said. "It should hopefully result in more people who are your audience [and who are] using Twitter talking among themselves about your content." Williams' keynote was one of the most highly anticipated events at SXSW, but the speech was met with some negative reaction from the audience in Austin, Texas. Twitter executives have acknowledged plans to add advertising to the site, which currently is free of ads. Many attendees said they had hoped Williams would talk about how such advertising would work on Twitter. Instead, some audience members began filing out of the keynote address, which was held as an on-stage interview, about 40 minutes after it started. By the time the interview was over, the hall was more than half-empty. The session also took a real-time beating on Twitter. "I've seen more energy at a lawn bowling tournament," one user wrote. In an interview with CNN, Williams said Twitter doesn't have anything to announce in relation to its advertising plans. "Unfortunately, we're not in control of what people anticipate we'll announce," he said. The measured reactions to the @anywhere feature didn't help the energy level at Williams' talk. "It's an interesting idea to bring Twitter out into the ecosystem, but I think at the end of the day, the intelligence [it would provide] is a little light," said John Logioco, vice president of Outbrain, which makes a widget designed to suggest content on a Web page based on a person's preferences. "What we're looking for on the Web, I think, is less noise, not more noise." It's unclear exactly when the @anywhere feature will launch. Williams said in an interview that prototypes are being tested now. "I don't know if we have a launch date yet," he said. "We have participating sites who are working on implementing it right now, and we have sort of prototypes working. It will depend somewhat on the sites who are implementing it when it actually launches because everybody is sort of adopting it differently." CNN's Valerie Streit contributed to this report.